The autonomic nervous system is at the heart of daily living powerfully shaping our clients’ experiences of safety and influencing their capacity for connection. Polyvagal Theory, through the organizing principles of hierarchy, neuroception, and co-regulation, has revolutionized our understanding of how this system works. We now know that trauma interrupts the development of autonomic regulation and shapes the system away from connection into patterns of protection. With an updated map of the autonomic circuits that underlie behaviors and beliefs, we can reliably lead our clients out of adaptive survival responses into the autonomically regulated state of safety that is necessary for successful treatment. A Polyvagal Theory guided approach to therapy begins with helping clients map their autonomic profiles and track their moment to moment movement along the autonomic hierarchy. With this foundation, the essential clinical questions address how to help clients interrupt habitual response patterns and find safety in a state of engagement. Polyvagal Theory gives therapists a guide to becoming a co-regulating resource and concrete ways to help clients find, and savor, experiences of safety. Working from a foundation of Polyvagal Theory, therapists have practical ways to effectively help clients identify and interrupt their familiar response patterns and strategies to shape their autonomic nervous systems toward safety and connection. In this two-day (9:00 AM to 5:00 PM each day), experiential workshop, Deb Dana shares her Polyvagal Theory guided approach to therapy. Come learn the organizing principles of Polyvagal Theory and work with practices designed to bring the power of Polyvagal Theory directly into your clinical work. Working individually and in dyads, you will learn techniques to map autonomic response patterns and skills designed to reshape the nervous system. Become fluent in the language of Polyvagal Theory and confident in your ability to help clients safely tune into their autonomic stories, reshape their nervous systems, and rewrite the trauma stories that are carried in their autonomic pathways. 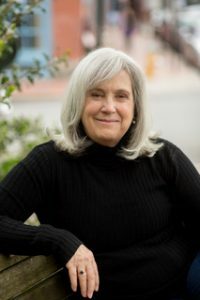 Deb Dana, LCSW is a clinician and consultant specializing in working with complex trauma and is Coordinator of the Traumatic Stress Research Consortium in the Kinsey Institute. She developed the Rhythm of Regulation Clinical Training Series and lectures internationally on ways in which Polyvagal Theory informs work with trauma survivors. Deb is the author of The Polyvagal Theory in Therapy: Engaging the Rhythm of Regulation and co-edited, with Stephen Porges, Clinical Applications of the Polyvagal Theory: The Emergence of Polyvagal-Informed Therapies. 12 CEU’s available to LCPCs, LCSWs, LMFTs and Clinical Psychologists. Early bird rate of $350 if registered before May 28. Group discounts available for groups of 3+. Cancellation Policy: Participants who cancel their registration at least one week (five business days) before the start of the workshop can receive a credit or refund minus a $25.00 processing fee. No credits or refunds will be given for cancellations less than one week before the start of the workshop. We reserve the right to cancel the workshop, in which case participants will receive a full refund.